Author Jerold Last joins us today with a fascinating account of Machu Picchu, the historical city of the Incas. The latest book in his South American mystery series is the Matador Murders. The book immediately preceding The Matador Murders, is The Surreal Killer. 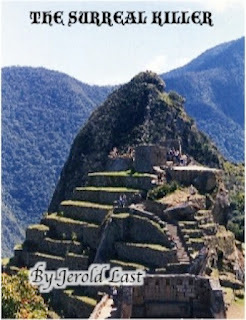 It takes place in Peru and Chile, with a key chapter set in Machu Picchu. Join Jerold as he takes us on a tour of this very special place. 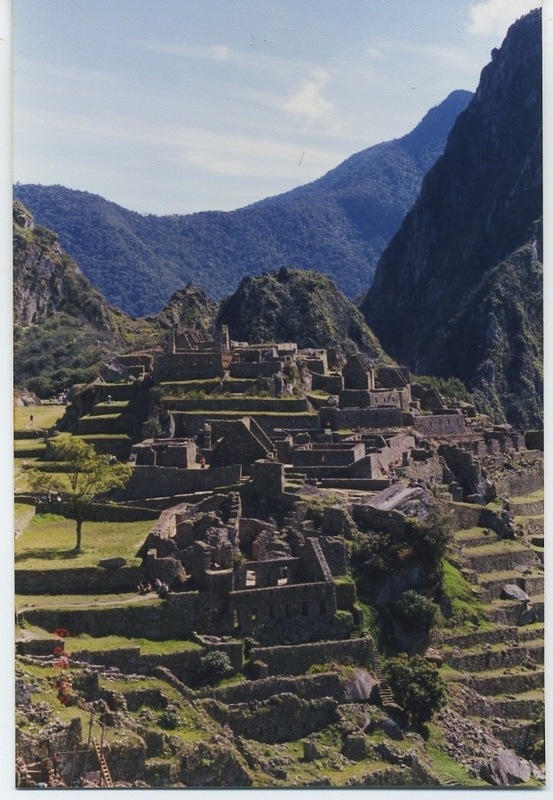 Machu Picchu, the sacred city of the Incas high in the Peruvian Andes, is used as the setting for a chapter in The Surreal Killer. It is a very special place I thought some of you might be interested in learning more about. 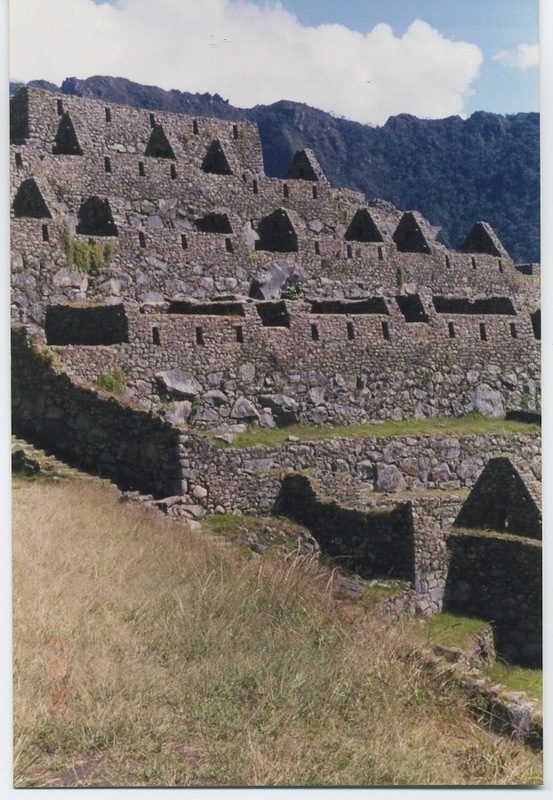 Conventional USA and European history of Machu Picchu: Hiram Bingham III was appointed as a lecturer in South American History at Yale University in 1907. He traveled through South America, including Peru, in 1908 and returned with Yale-sponsored expeditions to Peru in 1911, 1912, and 1915. Since The Panama Canal wasn't open until 1914, Bingham's first three visits to Peru involved difficult trips either overland or around Cape Horn and were far from being as simple as it is nowadays. A local native of Peru, Melchor Arteaga, led the first Bingham expedition in 1911 to Machu Picchu, which had been largely ignored by the non-indigenous people of Peru at that time. With the casual racism and arrogance characteristic of the times, Bingham claimed to have discovered Machu Picchu (that it hadn't been lost to the locals and that other European explorers had been there before him apparently didn't count) and proceeded to loot the ruins, bringing back something like 40,000 different artifacts to Yale. These mummies, ceramics, bones, and other artifacts were supposed to be returned to Peru by Yale a few years ago after prolonged litigation. The switchback-filled road for tourist buses that runs from the Urubamba River to Machu Picchu is now called the Hiram Bingham Highway. Bingham himself has been suggested to be the basis for the "Indiana Jones" character in Steven Spielberg's blockbuster movies. History of Machu Picchu: The decision to colonize the Andean Altiplano by indigenous tribes tens of thousands of years ago was a choice of a difficult life style due to the harsh conditions of weather and altitude versus constant exposure to the vector-borne diseases of the lowland jungles and swamps like malaria and dengue fever, poisonous snakes and insects, other human predators like crocodiles, piranha, and jungle cats, etc. Initially the highlanders followed the camelids (llamas, alpacas, etc.) and mountain goats and were hunter-gatherers. They learned the tricks of survival in this harsh terrain and later became farmers as well. The Incas conquered most of the other indigenous tribes in the 15th and 16th centuries to create the Incan Empire, which lasted for less than 100 years until the Spanish conquest in the 16th Century. The Incas brought not only spears and arrows, but sophisticated irrigated agriculture and huge granaries with them as an inducement to join their culture and religion. The sacred site: Machu Picchu (which can be seen as the cover picture on my novel The Surreal Killer) is amazing. It is not just the engineering scope and scale, the artistry of the architecture and the remote and inaccessible location. It's the serenity and spirituality of the place. That's why Machu Picchu is at the top of most lists for international visits by New Age enthusiasts and affluent hippies. Almost five hundred years after the conquest of the Incas, a visitor can still feel this religiosity emotionally and consciously, even though it is a different religion than that of 99.9% of the tourists who visit there. Just standing on the mountaintop, silently looking at the ruins of the Temple of the Sun or the Temple of Three Windows, makes it impossible not to be embraced by the spirituality of Machu Picchu. Chile's greatest poet and writer Pablo Neruda said it all in his work, "The Heights of Machu Picchu". "Machu Picchu is a trip to the serenity of the soul, to the eternal fusion with the cosmos, where we feel our fragility." Perhaps the strongest statement made by tourists is the long silences as they look at the ancient Incan ruins and think their private thoughts. 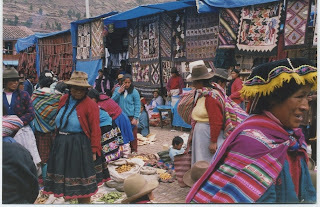 Incan religion: The Incas had a highly developed and sophisticated religion, which had several sacred places---Machu Picchu and Lake Titicaca are perhaps the most familiar sites to tourists nowadays. The early Incas also had to adjust to their life high in the Andes, an area of steep cliffs, huge boulders, and mountainous terrain. 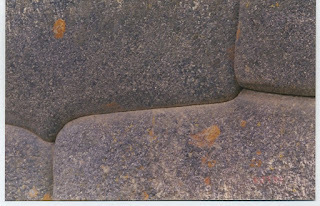 They made unique stone formations into special objects for worship by imbuing them with spiritual properties. These rocks were thought to possess their own spiritual forces so they were truly "gifts from the gods". The puma and other sacred animals like the condor or eagle are a recurring theme in all of the religious places found in this area. 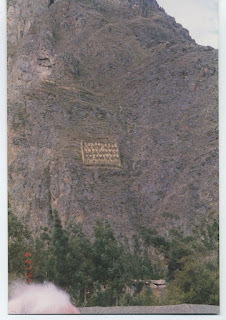 The most sacred structures feature the puma image. The puma represents the Incan god responsible for our world and was worshiped by all of the Incas. 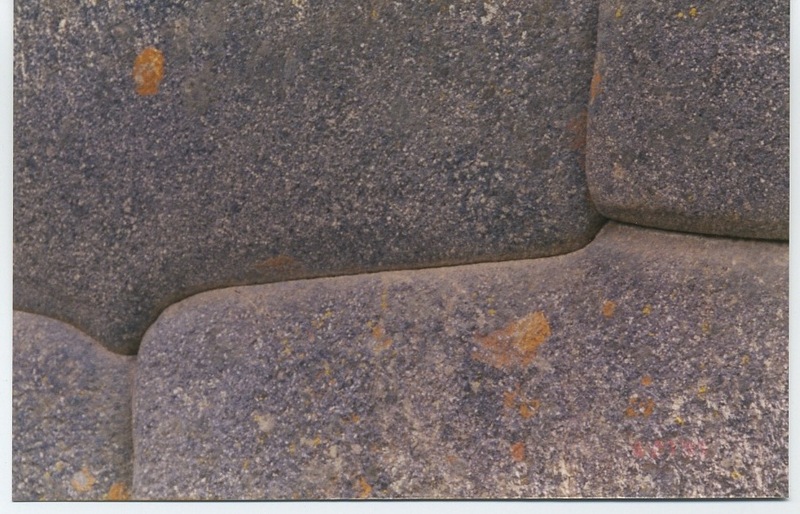 A carved rock in the Machu Picchu ruins called Q’enko has a puma carving and zigzag channels carved into the top to allow the flow of llama blood after sacrifice of the animals during religious rituals. The puma also appears in Cuzco, where the historic city is supposed to be laid out in the shape of the puma, with the fortress of Sacsayhuaman as its head. The condor represents the gods of the upper world, which included the sun, moon, stars, lightning, and rainbows. The third kind of animal the Incas deified was the snake, which represented the lower world, or inner earth. That was where the ancestors of the Incas, their great dead heroes, and the most important of their gods Pachamama, Mother of the Earth, lived. 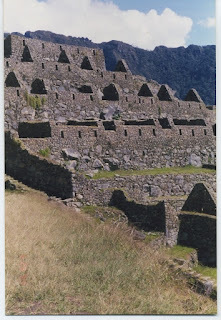 There are ceremonial showers at Machu Picchu (e.g., Tambomachay) where the nobility bathed in preparation for rituals. Apparently the nobles and the priests both participated in the important ceremonies, some of which included sacrifices of animals or humans. Human sacrifice was rare. It happened only during the most special occasions, like the crowning of a new King of the Incas or to try to get the gods to intervene in famines or epidemics of disease. Animal sacrifice, especially of llama, was more common. The most common sacrifice was a small amount of food crops at the time of harvest to ensure a good yield for the next crop. Archeologists tell us that some of these religious practices continued at Machu Picchu long after the time of the Spanish conquest, so Incan spiritualism outlived secular Incan government, probably until the era of modern Peru, if not longer. Building Machu Picchu: Incan construction techniques such as those used at Machu Picchu are fascinating. They used huge rocks, some dragged many miles up and down mountains at altitudes as high as 12,000 feet, using only human labor to move, grind, and polish boulders weighing tens of tons. The Incas did not have cement, so the rocks were shaped to fit together like pieces of a jigsaw puzzle and held in place by gravity. They hadn't invented the wheel, so primitive rollers made from logs and fiber ropes were used to transport the rocks. The Peruvian altiplano is a major earthquake zone, but many of the walls have survived more or less intact for over 600 years. 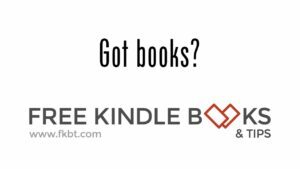 Jerry writes hard-boiled mystery books that are fast moving and entertain the reader, while introducing the readers to a region where he has lived and worked that is a long way from home for most English speakers. Montevideo, Salta, Machu Picchu, and Iguazu Falls are characters in these books, and the novels portray these places as vivid and real. Check out the blurb for The Matador Murders and find the book at Amazon. P.I. Roger Bowman and his wife Suzanne are back in Montevideo, Uruguay after being summoned from Los Angeles by a late night phone call. One of their friends is suspected of murder and needs their skills as detectives to help clear him of the charges. Life for Roger, and especially for Suzanne, is more complicated these days as they now have an infant son, Robert. The three of them, accompanied by Robert’s nanny, Bruce, fly to Uruguay and the game is afoot. Before long we have our heroes directly in the middle of a gang war, off for a quick trip to Chile to learn all about the local crime scene, and meeting some unlikely allies in their mission. The book has lots of action, a good whodunit storyline, guest appearances from several old friends and an old enemy, and occasional opportunities for sightseeing and eating regional specialty foods.